Cinegration Developments Redfish IPMI Control Driver allows customers that manage servers to obtain the current status of their server as well as perform the powering on and graceful shutdown of their server. This can be especially useful if you have any servers off site or in a separate room that you would like to power down or turn on. The driver features feedback of the current power state of the server. You can easily change the power state of your server via a simple combination of button presses via a Control4 UI Button. One button press will bring up a Confirmation dialog on the UI Button to ensure that you want to perform the action. Following the confirmation dialog, the next button press will complete that action. What is Redfish? 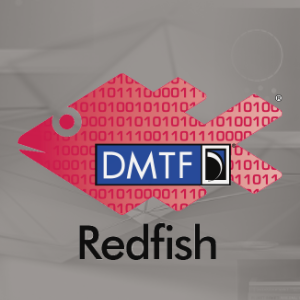 Redfish is a much needed update to the IPMI standard that provides a much easier way to interact with our servers/computers, as well as provide us with a much richer set of information than with the previous IPMI standard. We can pull just about any type of data from a server via the Redfish standard. This driver is compatible with Control4 2.9.1 or higher. A strong network connection is required to effectively utilize this driver. This driver ONLY works with the Redfish standard by DMTF (https://redfish.dmtf.org). Remotely power down your server in your basement. Monitor the current state of your server/computer. Power down your power hungry servers while on holiday. Restart your computer every night at a scheduled time. Turn on/off your server when you change the room state. What hardware does this driver support? The Redfish standard is being adopted by pretty much all major motherboard manufacturers, while it does cater to hardware in server environments, manufacturers such as Asus are bringing it into the consumer environment as well. Does this driver work with all motherboards? No. Your motherboard will typically be labeled with an additional ethernet port called an IPMI or BMC port. Please check your motherboards documentation. Where can I get support if I have an issue? If you have questions or issues with the driver or integration, please go to https://help.drivercentral.io and submit a ticket. All Cinegration Development drivers support the DriverCentral showroom project. Can I try this driver out before buying it? All Cinegration Development drivers for Control4 come with a 7-day trial. Simply add the DriverCentral licensing driver along with this driver and you can fully test the driver before purchasing. Driver is provided by Cinegration Development LLC. All rights reserved.